Click the button below to add the Girl's Hair Conditioner to your wish list. 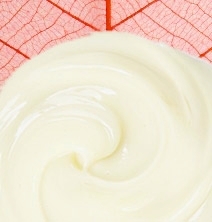 You’re going to love our lightweight conditioner leaves your child's hair moisturized, manageable, softer and lustrous. This conditioner was formulated to protect, nourish and smooth young girl's hair without the use of chemicals and additives. Coconut oil softens, conditions and hydrates hair, skin, and scalp, while emollient Cranberry Seed Oil nourishes hair to retain moisture. Our Girl's Hair Conditioner has no dyes, no silicone, and is safe for all hair types and textures. Your child's hair will instantly transform into soft, shiny and frizz-free locks. No dyes, no silicone, no salt (sodium chloride), no sulfates, no artificial fragrances, no parabens. 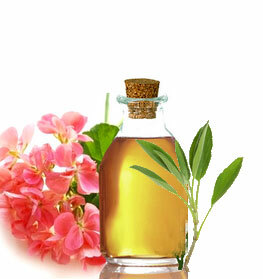 Cherry Kernel, Sweet Almond, and Camellia Oils are vitamin-rich skin and hair moisturizers. Aloe Vera conditions, moisturizes, balances pH levels and softens hair. Rice Protein improves shine, softens and smooths hair, increasing moisture in hair. Daikon Radish Seed Oil provides shine, strengthens roots and promotes healthy hair. Grapeseed Oil is a lightweight oil that provides shine and keeps hair frizz-free. Apply an adequate amount of conditioner for girl's hair from the mid-shaft to ends first, like you're making a ponytail on wet, shampooed hair. • Avoid the roots when conditioning to prevent hair from being weighed down. Aloe Barbadensis (Aloe Vera Hydrosol), Prunus Avium (Cherry Kernel) Oil, Camellia Oleifera (Camellia Seed) Oil, Vaccinium Macrocarpon (Cranberry Seed) Oil, Olea Europaea (Olive) Oil, Prunus Amygdalus (Sweet Almond Oil), Vitis Vinifera (Grapeseed) Oil, Persea Americana (Avocado Oil), Cocos Nucifera (Coconut) Oil, Citrus Aurantium Dulcis (Orange) Wax, Behentrimonium Methosulfate, Cetyl Alcohol, Raphanus Sativus (Daikon Radish Seed) Extract, Hydrolyzed Rice Protein, Citrus Sinensis (Orange) Peel Oil, Glycerin, Caprylyl Glycol, Guar hydroxypropyltrimonium, Citric Acid, Panthenol (Vitamin B5). We've tried many conditioners for my now 4yo daughter's long never-been-cut hair. I truly wish we found this sooner. This conditioner is nothing short of a miracle. We used to spend at least 20 minutes a night combing out tangles (so so many wasted tears on all of our parts), now hair brushing is done within seconds. Seriously. And next morning's a breeze too. Think nothing of the price (I'd honestly pay more), just get it. My daughters long hair is always in a tangle. She hates brushing it and we have tried everything. This stuff really works!! We use it as a conditioner when she takes a bath and we can get the brush right through it! She loves having her hair brushed now. It even smells nice. I was skeptical about the product, and not thrilled about the price, I won't lie. It's pricey when you compare it with regular store shampoo, but now I know why. Not only do I have peace of mind about the ingredients, this stuff is amazeballs. My daughter still has the fine, instantly tangled baby hair, and those adorable curls are a nightmare to get a brush through. After using this product for 2 weeks now, I can definitely say brushing is easier. The brush goes through her hair like a knife through butter when it's wet, and when it's dry if I dampen her hair and use even a tiny bit of this product just on the ends, it instantly de-tangles. It also does not leave a residue even when applied to dry hair. I'm ok with closing my eyes at the price and just clicking "buy"; some things are worth it! This is the only conditioner that gets all the knots out of my daughter's hair. We love it! I use this on my 21 month old daughter's hair after I wash with the girls shampoo. It makes her hair soft, no tangles and smells nice. I love that it's packed with good ingredients and still has a nice slip to it. I can easily de-tangle the hair in the shower without trouble. My daughter has very thick, wavy hair that tangles easily. I have tried many brands of conditioners that have not done anything to help the issue. This conditioner WORKS while sitting on her hair. After shampooing, I can run this through her hair and actually get the knots out with my fingers and without any pulling. Definitely glad I purchased this.